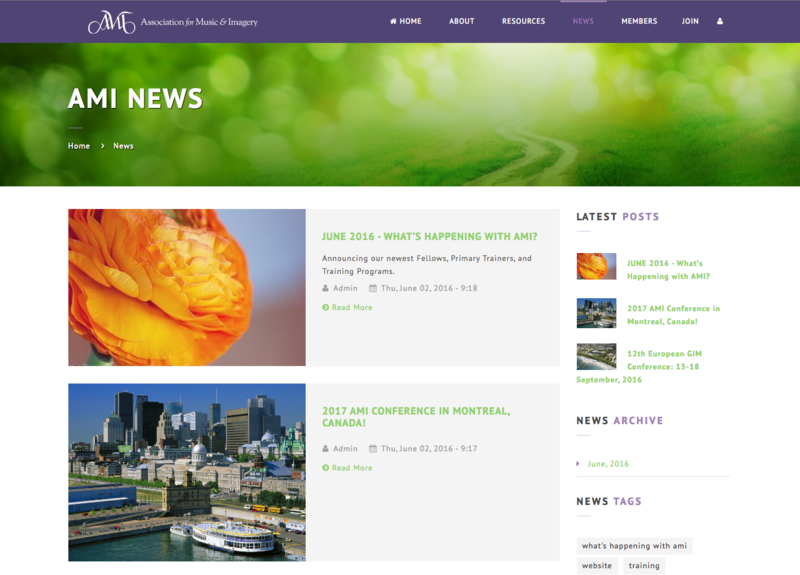 The Association of Music and Imagery (AMI) is an international organization that is devoted to advancing the Bonny Method of Guided Imagery and Music and its adaptations. The association promotes training standards and practices, research, professional development, networking for members, and public outreach. The site also adds fully automated member registration and available donations connected to an online payment system.